When marketers send emails to customers, they want these clients to execute some sort of action. Buy a product; sign up for a service; share content on social media. However, the campaigns aren’t always successful when looking at the most important metric: conversion rates. The conversion rate refers to how often customers actually follow the specific action an email is designed to encourage. When push comes to shove, it doesn’t matter that customers opened an email if it didn’t prompt them to take action. That’s why strong landing page strategies should play an important role in any email marketing campaign. Often, the call to action (or CTA) at the end of an email will direct customers to the selected email landing page on a company’s website. Employing an optimized landing page marketing strategy can boost conversion rates. Keep the following tips in mind, and you’ll be more likely to take full advantage of your email landing page. 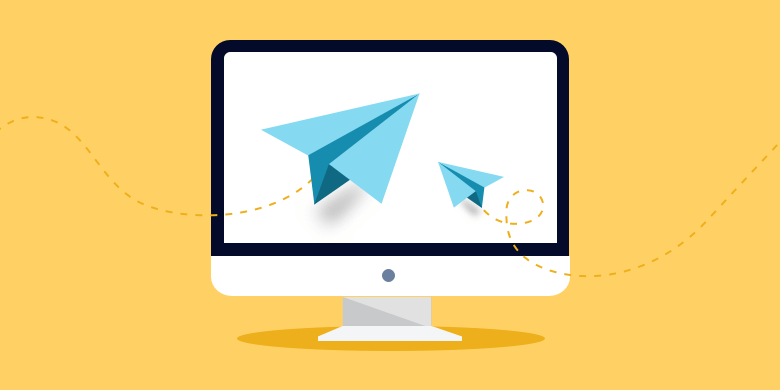 A customer who has followed a link in your email expects to be brought to a landing page with an email sign up or one that expands on the email’s content. That’s why consistency is important. Use similar language, fonts, and visuals in both the email and the landing page. More importantly, emphasize the same message. For instance, if an email’s CTA promotes a discount, your landing page marketing strategy should clearly focus on letting readers know how they can take advantage of that discount right away. A customer who has clicked away from your email and into a landing page is already considering taking action. You just need to convince them that doing so is a good idea. Thus, your email landing page strategy should always involve explaining the benefits of taking a certain action. If an email CTA encourages a reader to buy a product, the landing page should highlight exactly why a customer would want to purchase it. This extends to the call-to-action itself, so make sure to look into how to write effective CTA copy. Just make sure you’re not repeating content from the email. The landing page should expand on the email’s message with testimonials, product reviews, data about its usefulness, or other items that build value. An email landing page should offer something new and informative to a customer. This tip won’t apply to all landing page strategies, but when it does it can be very useful. According to studies, people are more likely to take some form of action when they feel a sense of urgency. Using this knowledge can boost the conversion rate of an email landing page. If a page promotes a limited time offer, make sure the landing page content strategy is formulated around clearly reflecting that. Consider including a countdown timer and/or using language that reminds customers they only have a certain amount of time to take advantage of an offer. Visually, the CTA on your landing page should stand out. You don’t want visitors to overlook it. For instance, you can ensure a customer notices the CTA by using text or an icon that’s a different color from most of the page’s other visual elements. Furthermore, consider making it larger than most other elements on the page, and focus on action verbs to drive home exactly what you’re encouraging a customer to do. Your website should also have at least one landing page with an email sign up. Potential customers who aren’t currently on your mailing list might still find one of your landing pages through other means. This gives you a chance to attract more subscribers. The above tips will help you to craft a strong email landing page. However, you should also understand that the main goal of this page is to convince a guest why they should sign up for your email list. You’ll get the best results if you thoroughly and honestly explain what type of content they should expect from your emails. According to a survey, 94% of customers value transparency from brands. If they sense you’re honestly describing how they can benefit from signing up for your email list, they’ll be more likely to do so. Of course, your landing page content and marketing strategies must be used in conjunction with a strong email campaign. Follow the tips here, as well as typical email best practices, and you’ll develop a much better strategy for boosting conversion rates.